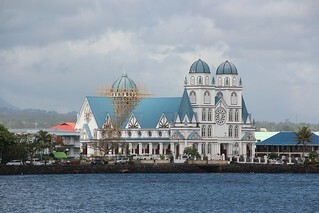 APIA – The clergy of Samoan churches may soon have to pay tax on the monetary gifts that they are given, despite protestation from the churches and members of the public. The government of Samoa has now approved legislation which will force church ministers in the country pay taxes. Currently, personal donations made to the ministers by people within their congregation are not taxed on personal donations made to them due to their work in the church. The government hopes to tax such donations, as it sees the funds as being an income and believes that all individuals in the country should pay their share of the national tax burden. The government has allowed a tax-free threshold to be implemented, with ministers who earn less than USD 7 500 being allowed to forego paying taxes in the offerings. The proposal to tax the clergy has caused controversy in Samoa, as both of the country’s major churches staunchly oppose the tax, with even a portion of the public saying that ministers should have a free pass when it comes to taxation.